An unique and special gift, a light hearted personal guided tour around The British Lawnmower Museum. Tour time approximately 35 min. 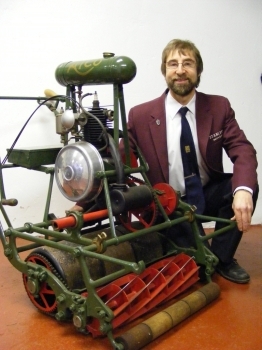 Find out about Britain's quirky lawnmower history, by Ex-Racing Champion and Noted Author.